﻿ Koh Chang Boat Chalet Hotel (Thailand) | FROM $33 - SAVE ON AGODA! 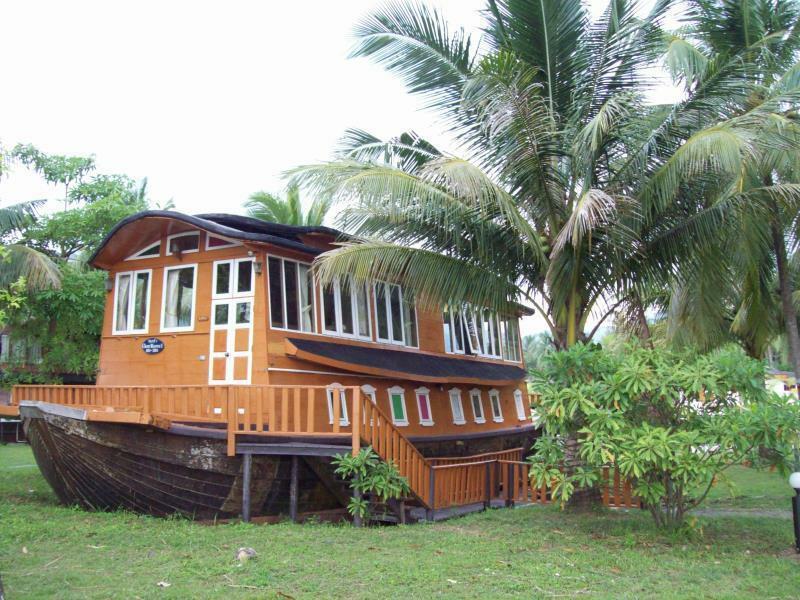 "Nice staff + good Wi-Fi (even on the beach ;"
Have a question for Koh Chang Boat Chalet Hotel? "At the other hand we have appreciated the quietness and priv..."
Nestled in the heart of Koh Chang Tai, Koh Chang Boat Chalet Hotel is an ideal spot from which to discover Koh Chang. The excitement of the city center is only 10.0 km away. With the city's main attractions such as Bang Bao Fisherman Village, Bang Bao Temple, Bang Bao Bay within close reach, visitors to the hotel will just love its location. 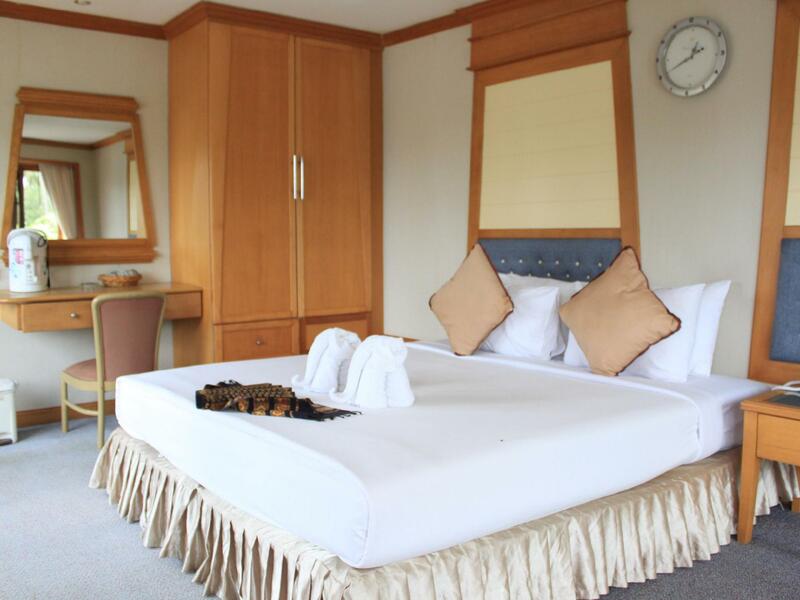 Offering hotel guests superior services and a broad range of amenities, Koh Chang Boat Chalet Hotel is committed to ensuring that your stay is as comfortable as possible. A selection of top-class facilities such as 24-hour room service, free Wi-Fi in all rooms, Wi-Fi in public areas, car park, room service can be enjoyed at the hotel. Guests can choose from 216 rooms, all of which exude an atmosphere of total peace and harmony. The hotel offers many unique recreational opportunities such as private beach, outdoor pool, spa, massage, pool (kids). 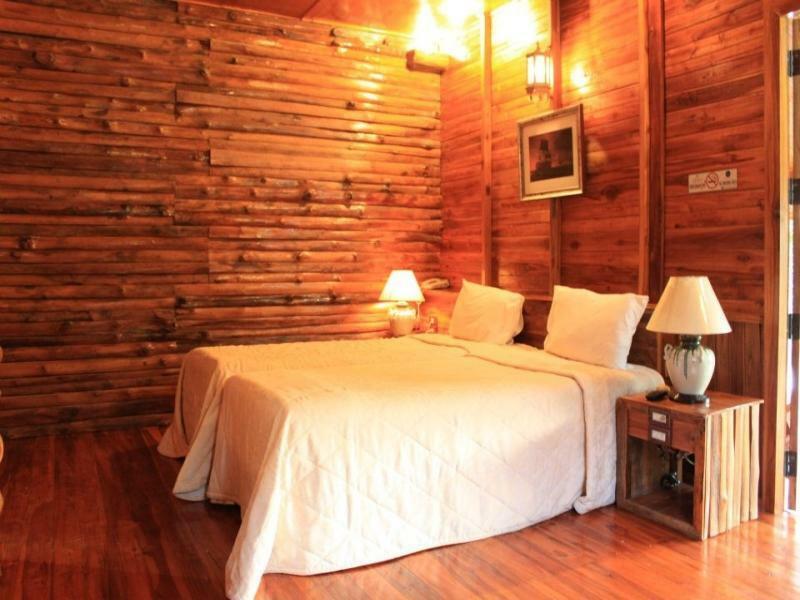 Koh Chang Boat Chalet Hotel is your one-stop destination for quality hotel accommodations in Koh Chang. "Pro - The location is beautiful and quiet." Pets are only allowed in Deluxe Bungalow room type. Place has seen better days. They changed the name to Boat Chalet but only have signs for old name Grand Lagoona which was a nightmare trying to find in the dark. Beautiful location but difficult to get to. Also there are no signs for anything on the grounds. Go somewhere else is highly recommended. The hotel was very far from Bang Bao Port. The hotel is so-so but the staff was very kind to pick up us from the port otherwise we might be charged more about USD10/person. By the way, beach is quite private because it's a private area for this hotel only. + nice staff + good Wi-Fi (even on the beach ;) ) + clean room + beach is cleaned every morning The location is a bit remote but a rented scooter for 200Baht a day in Klong Kloi is a good way bridge that gap A bit more variety of breakfast chices would Be nice (3 sort of western style breakfast which i don't need when in Thailand) and just 1 asian-style breakfast (good ricesoup with fish) even with toast, juice, coffee and fruits. The front desk is very rude, I was hung up on twice on the phone. The resort will not allow a taxi pick up for you- you must take their van and pay their driver 1000 baht. It is a 45 minute walk back to the other hotels and bars if you refuse to pay their driver. I can't believe the scam they run on their own customers! (A normal taxi ride on the island is about 150 baht.) If you try to take a taxi they will stop them at the front gate. Do not stay here if you plan on leaving for meals or shopping. You will be stuck. This place will over charge you. They do not call taxis to the resort and you are forced to take their van. They charge 1000 baht for every trip off the resort! They will hassle any taxi that tries to pick you up at the front gate. It is a scam. Aunchaleena Beach Front Resort was at the end of a west coast Koh Chang Island which was a very lonely road and quite far from any other beach, 7-11, city life, nightlife, shops, restaurants etc. If you want to go out from this resort, you must have your own car, otherwise you have to spend all your time and money at this resort. Well we knew this, so we had arranged all our food, drinks etc. The food and drinks were overpriced, and the whole place shut down around 10pm. But I must say great place for couple. Resort has their own water fall, which is 200 meters from the resort. You have to go through the jungle to reach to the water fall. Water fall was nice, beach was great, breakfast was terrible. No milk, cornflex etc. Beach bar was nice, but it should open till mid might. Beach Restaurant was good, price was a bit high but ok. Over all the resort was very good if you have your own car. Nice place if you want away from back packers. Make sure you have a car as it's at the other end of the island. If you are staying for a day or two and need away from the back packers this is the place as it has a nice beach.. Just beware that you get what you pay for If you don't mind living in a smelly boat for a few nights and swarmed with Russians in Spedos then this is the place to be. My pillow was also made of concrete and didn't have hot water. I knew beforehand this hotel was off the beaten track having read previous reviews, However this place was miles from anywhere,and no one seem to mention the treacherous roads, everyday I saw some poor tourist layed by the roadside with their motorbike upside down. The hotel itself was virtually deserted,apart from a sprinkle of Russians,who were harmless enough and seemed to enjoy dancing to Russian techno- house at the beach-disco which was amusing. The private beach is beautiful and worth the stay alone, the hotel itself was alittle run-down but ok. The wi-fi didn't work and the restaurant prices weren't as expensive as I expected. I'll stay again for the beach alone,making sure I'll stock-up in the local 7-eleven or Tesco. My big family consist of my grandpa, mom, dad, me, my elder sister and my little brother. Everybody like the sevice and the place of the hotel very much except bad transportation as my grandpa is too old to travel for a long time but if you are honeymoon couple or friends, I think this is fun. This hotel is located very far away from the pier and the entrance should be improved by expanding the road to be wider (at least 2 lanes). However, I like the scenery because this hotel is close to the beach. The rooms were a bit old but necessary facilities were provided. Place was very private and beautiful, but not much Thais went there. Huge land, so we can walk or ride around for sight seeing. But food was not good, and bicycle should be more care and maintenance for safety. We booked 4 nights at this hotel, but we left already the second day after having the worst breakfast I ever had. The installations of the hotel are old, it might have been a nice place 20 years ago, but now it is really disgusting. I can not recommend this place. fantastic resort but it is in need of a few tweeks. 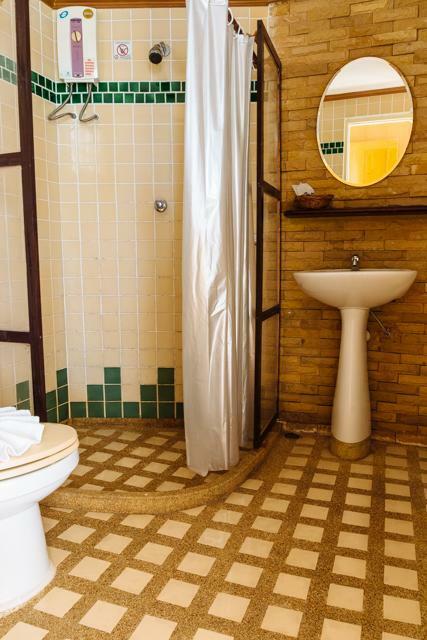 the standard rooms are very basic and not appealing to the eye, but the deluxe rooms are great. breakfast service needs to be improved as i often had cold eggs or had to ask for coffee/toast. bar, beach and pool area are kept in great condition. evening entertainment was good, but needs to have more variety. general service was fantastic and the site manager and reception staff were very accommodating. the resort is beautiful and has a lovely atmosphere, with everyone cycling to get from a to b. the bike service is a great idea, but several of the bikes have had their day and need replacing. friday nights the music is played too loud in the restaurant as several couples were trying to have a nice meal whilst people were dancing. i believe this should be kept to the beach bar area or after people have finished eating. overall, i would definitely return to this resort and would recommend it to friends and family. it's a beautiful place and very relaxing. Brilliant location. Terrible service. No seats to relax near the beautiful beach. No staff around the pool or beach. No telephone in the room, thus no room service. Delicious food in the restaurant. No fans in the restaurant. Very uncomfortable breakfast without fans, especially if you have children. Fast clean up. By the time we finished breakfast, our room had been cleaned up. However, both my wife and I got lot of rashes from the beds. Quite itchy. Conclusion: ideal place if you don’t want to see anyone and want to relax, given you have a car and ready to service yourself. actually we should claim the money back as this Hotel condition are worst and not acceptabile. the offeret bicyle for rent no more existing, the kajak rent no more existing. the hotel rooms are under any expected condition as nmostly damage or not work. air codinion in the room work but with such noise that you can not sleep.Hotel staff very hfriendly and helpful but resort and hotel bedraggled. Right at the end of the island(200b from pier). Horrible room,holes in carpet and door, wifi didnt work anywhere. 3 tv channels on 10inch tv all fuzzy. Dodgy wiring and sewage smells. Restaurant was expensive and disgusting with 20 staff but only 1 taking orders. Breakfast was a buffet scrum, coffee ok, eggs average but lucky to get any! Upon leaving we were quoted 800b by reception for 2 people to get to white sands beach, i was ignored when i challenged this price. We paid 100b each to get to bang bao and a further 150b to get there but he only took us to kai bae telling us it was white sands! Island complete rip off and tourist trap, worst hotel i have stayed in in 11 months backpacking! The place is beautiful. The area is quite big BUT the resort is isolated from everything else on the island. So unless you are satisfied in staying on your own beach, eating in the only restaurant they have and listening to crappy dance music super loud in the evenings, go somewhere else. The taxis have a cartel on the island nowadays and the price to get out of the area is around 200-300 Baht return per person. The place in daytime suits well families with small kids but not in the evening when the groups take over the beach for partying. Also the service in the resort is not handled very efficiently. And we also had a big rat living underneath our villa and keeping us awake in the night. I would not recommend this place. There are much nicer areas in Koh Chang.